I AM A PRIMARY SCHOOL, WHAT DO MY STUDENTS LEARN? Students learn how to compose their own music. They learn key musical concepts. They are encouraged to be creative, make choices and take musical risks. I AM A HIGH SCHOOL, WHAT DO MY STUDENTS LEARN? HOW MANY STUDENTS PER SESSION? We can work with up to 30 students per session. This depends on what type of workshop. We recommend 50 min – 1 hour as a minimum. However, for a song-writing project and an introduction to O-Generator we can work with classes for 2 hours. This allows the students to achieve more. 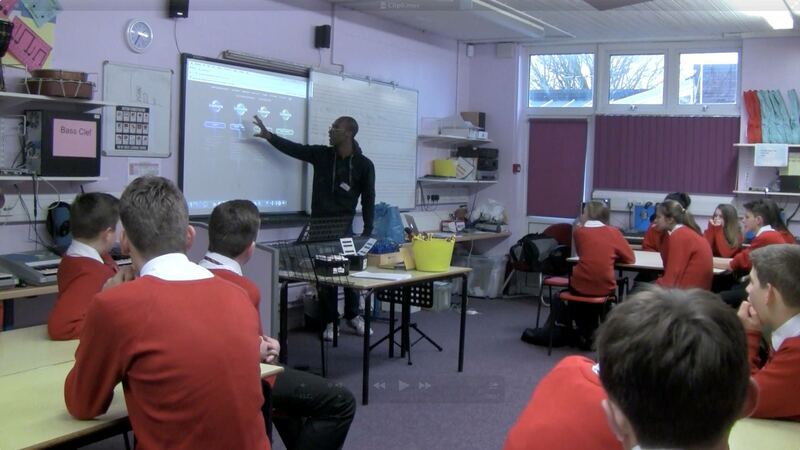 For ‘hands on’ student experience, if the school has laptops or iPads the workshops can take place in the classroom. We are happy to work in the school ICT suite. The room must have good Wifi access. For a O-Generator introduction we can run this via 1 computer through the class projector. SHOULD I BOOK A FULL DAY OR A HALF DAY? This depends on how many classes or students you wish to do the workshop. Based on 30 students per session, you could do a half day (morning or afternoon). This allows us to do 2 or 3, 45/50 min sessions. Anymore students book a day. For a song writing project definitely book a day. WHAT RESOURCES DOES MY SCHOOL NEED TO HAVE A WORKSHOP? Literacy and Music or for a basic introduction workshop all we require is a projector, speakers, laptop, WIFI. For a student’s ‘hands on’ experience you will require laptops (PC’s) and headphones, (if they are sharing laptops we recommend getting splitters). If the school has no headphones, get the students to bring their own! Please contact us to arrange a workshop. DO I NEED TO BE A MUSICIAN? NO! At primary school level you do not need to be a specialist music teacher. WHAT DO THE TEACHERS LEARN? How to teach using O-Generator. We can provide you with different ways to get the best out of O-Generator. If you have a topic you wish to focus on we can adapt the training to suit your needs. There may be specific Units you wish to cover. Please let us know before the session. WHAT RESOURCES DOES MY SCHOOL NEED FOR TRAINING? Our preference is that you get ‘hands on’ experience. So if you have access to laptops (PC’s) and headphones it makes for a far better understanding. 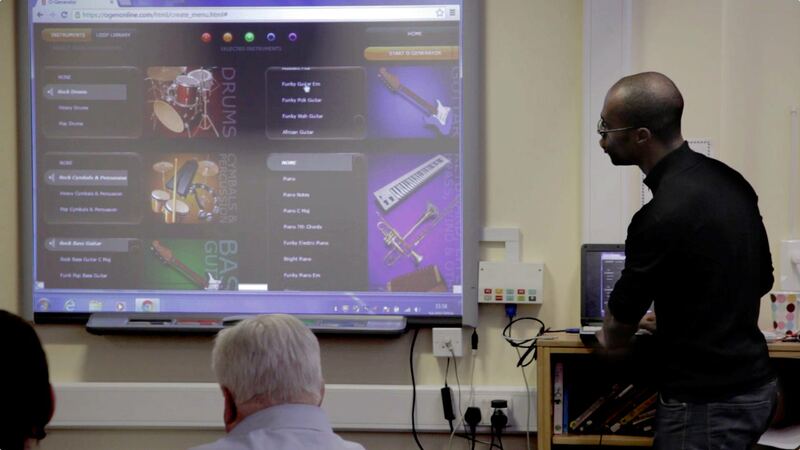 However, we can provide training in a classroom using a laptop, a projector, speakers and access WIFI. For after school training we require a minimum of 1 and half hours. We can also do half day insets. 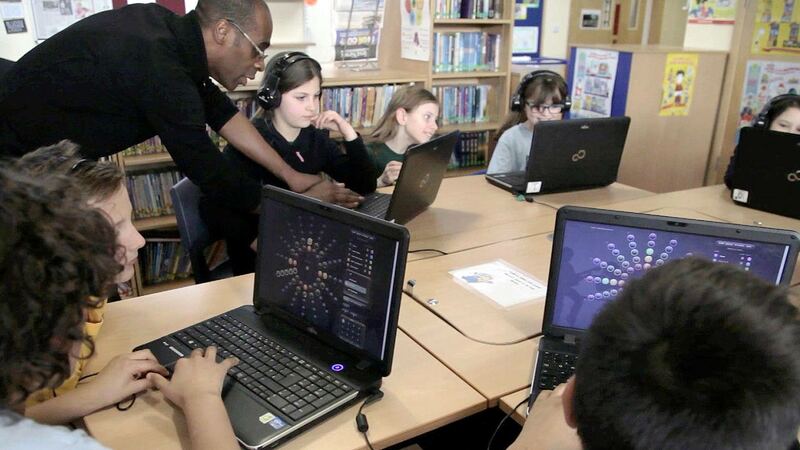 FREE = If your school is purchasing the software, and booking a workshop. We can provide training as part of the day. Please contact us to discuss your options. Please contact us to discuss training. The year 5 kids are still raving about it!